An immaculately presented property which has been upgraded by the current owners to an extremely high standard. This large family home has accommodation over four floors with additional storage space within the cellar. 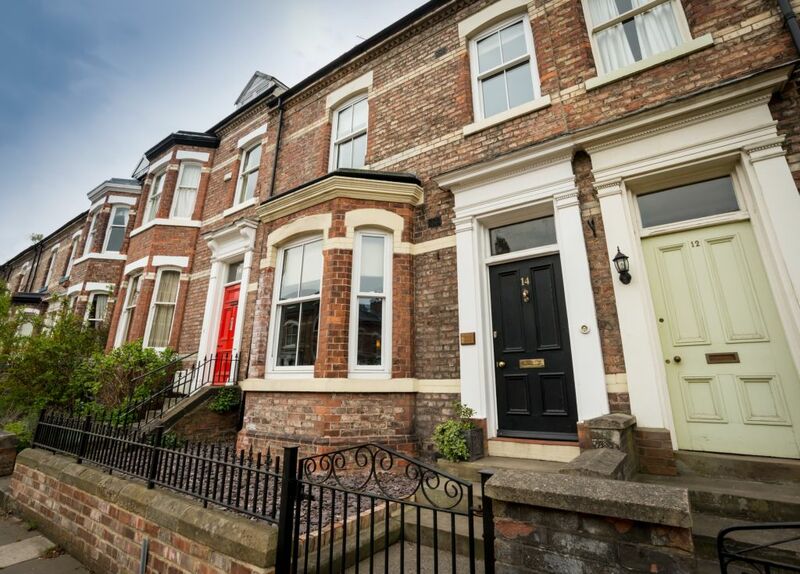 Benefiting from a range of original features along with modern improvements this home will certainly not fail to impress. The internal accommodation briefly comprises entrance vestibule leading through into the entrance hallway with access into the large living room, dining room and open plan kitchen/breakfast room to the rear. Also having a ground floor WC and access to the basement storage area. 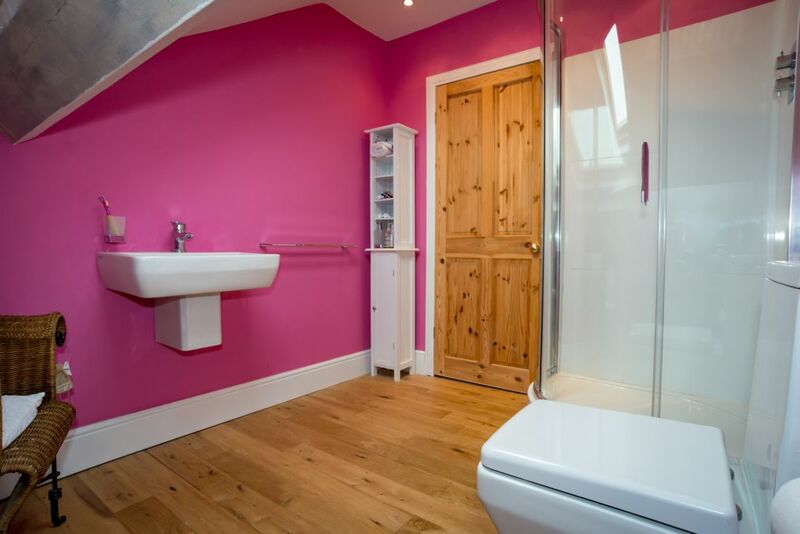 To the first floor there are four bedrooms and an immaculately finished family bathroom. On the second floor there are two further double bedrooms and a shower room. 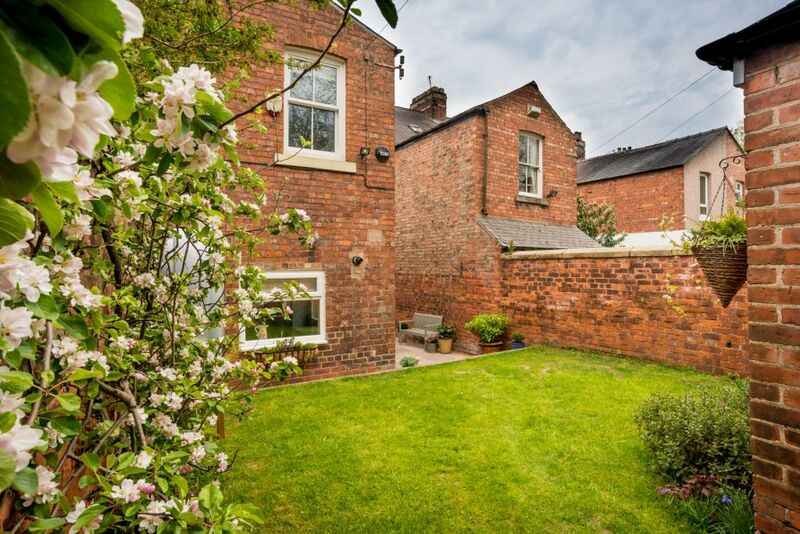 Externally the property benefits from a private west facing walled garden and patio area with access to the detached brick built workshop (previously the garage). 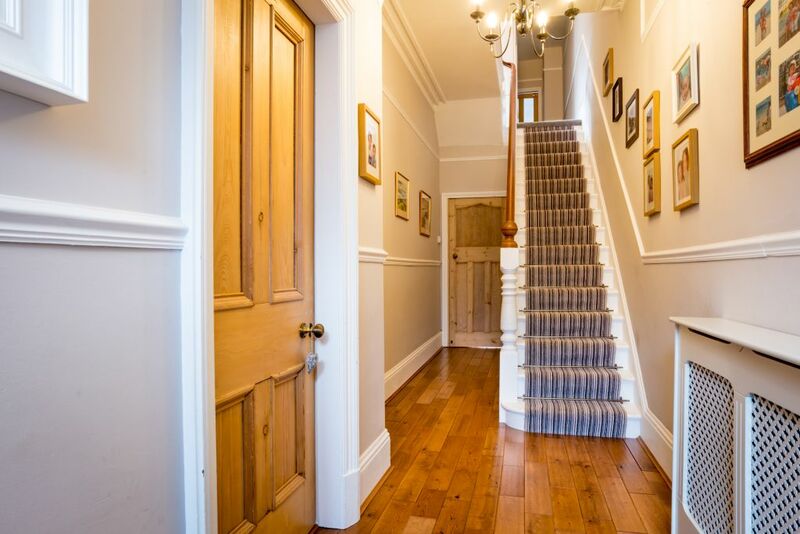 Entrance hall with beautiful original mosaic tiled floor with part ornate glazed panelled door leading through into the entrance hallway with solid oak flooring, access into the ground floor accommodation and stairs leading to the first floor. 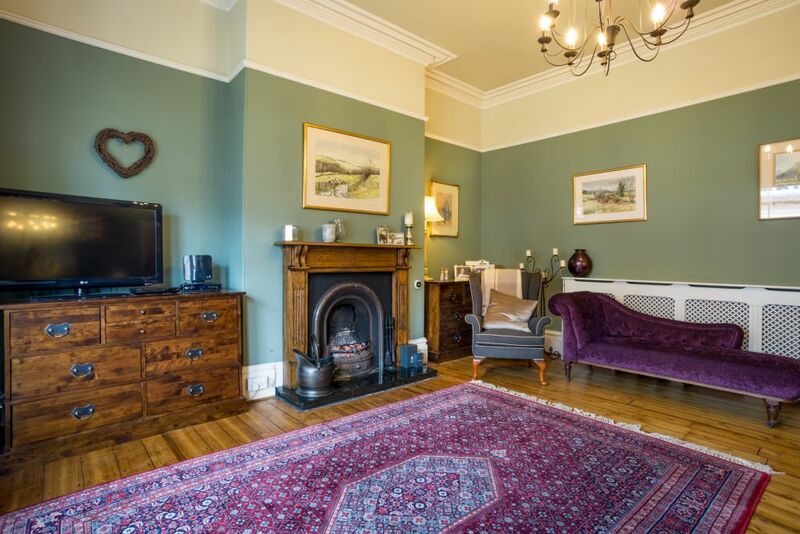 An impressive, large living room with exposed timber floorboards, a fantastic bay window to the front with high quality double glazed sliding sash windows and custom built window seat and an impressive cast iron open fireplace with decorative timber surround. The dining room is a further spacious reception room with a stunning fireplace with timber surround and large single glazed window to the front elevation. The inner hallway gives access to the kitchen and wc. and a stairwell leading to the basement (a useful space currently used as a coal bunker and storage area). The wc has ceramic tiled floor and part ceramic tiled walls, low level WC, ceramic wash hand basin and chrome heated towel rail. Obscure double glazed sliding sash window to the side elevation. 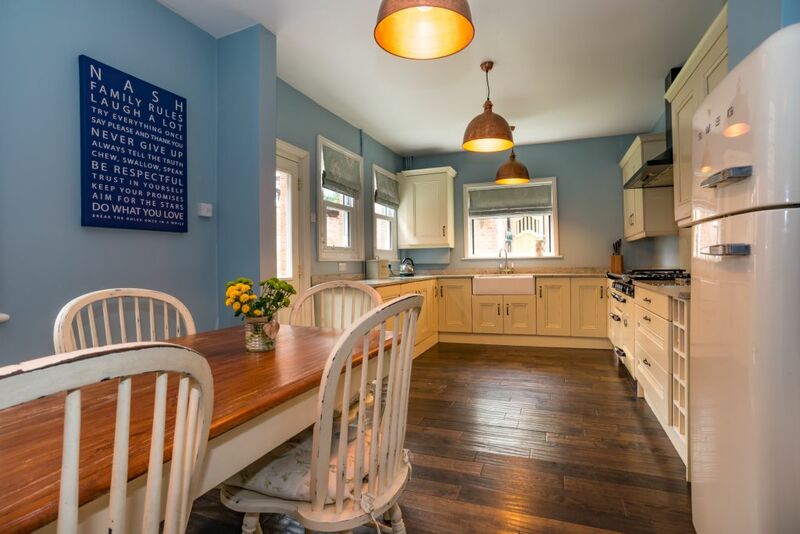 An extensive open plan kitchen with dining area having large double glazed sliding sash window to the side elevation overlooking the patio area and high quality engineered wood flooring. 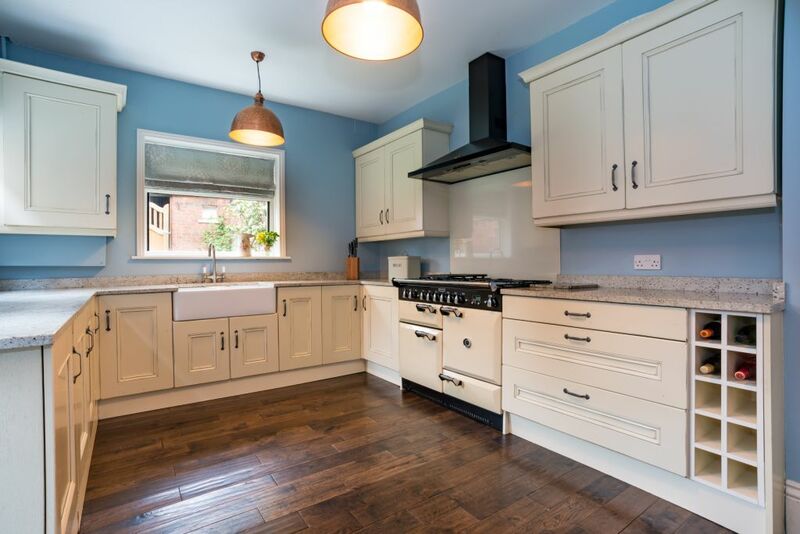 Fitted with a range of high quality floor and wall mounted units with granite work surfaces. A large Rangemaster oven with 6-ring gas hob and double oven with grill and proving drawer with overhead extractor unit and glazed splashback, double ceramic Belfast sink and space and plumbing for dishwasher and washing machine. The kitchen benefits from a large amount of natural light via the two double glazed windows to the side elevation and large double glazed window to the rear overlooking the lawned garden. Within the wall mounted units there is a concealed gas fired central heating boiler. Having a half landing area with double glazed sliding sash window to the side elevation and access to the accommodation within the rear offshoot. Also having further steps up to a further three bedrooms and useful understairs storage cupboard. 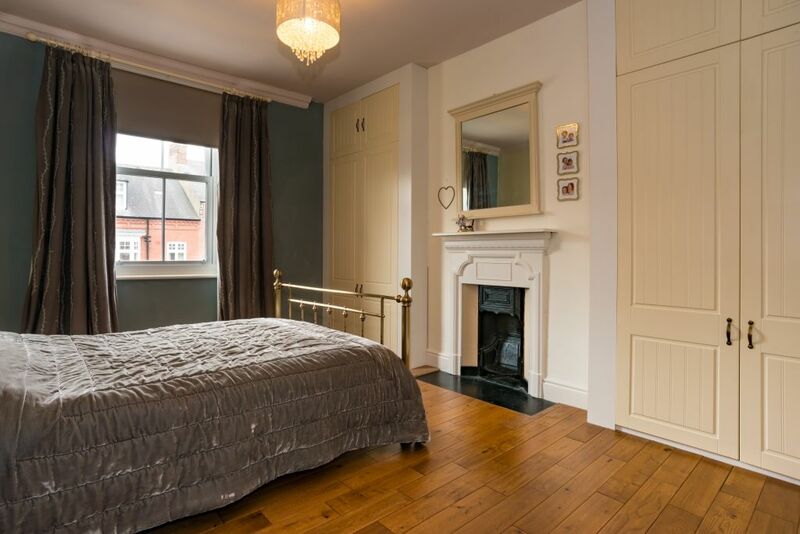 Bedroom one is a double bedroom with sliding sash double glazed window to the front elevation, chimney breast with original fireplace, two built-in wardrobes and engineered wood flooring. 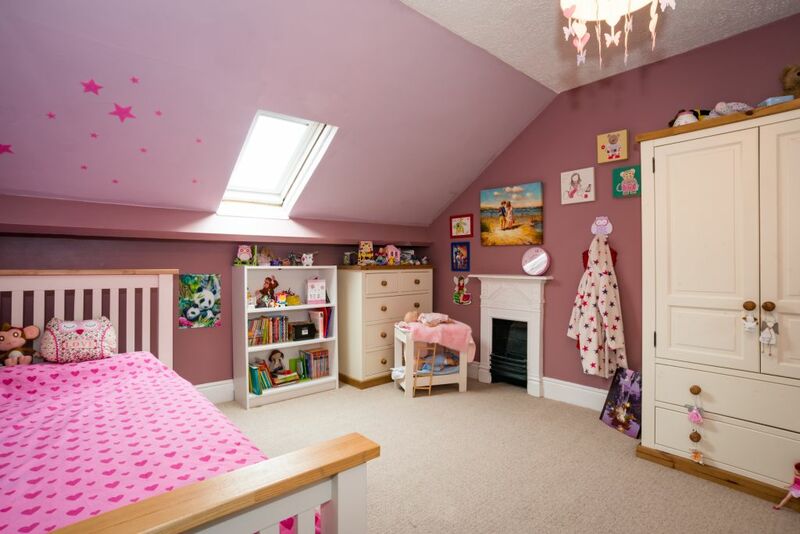 Bedroom two is a further large double bedroom currently used as a playroom with original fireplace and fitted wardrobes. A further room currently used as an office, could also be a good sized single bedroom with window to the front elevation. 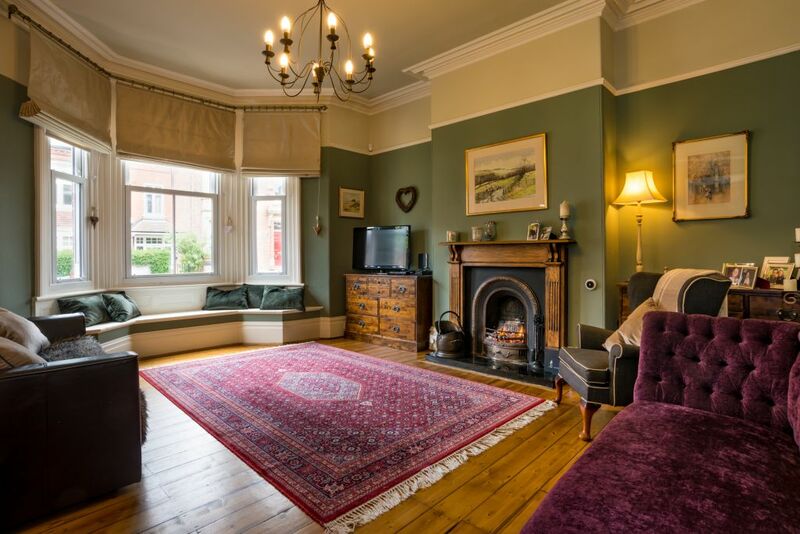 Bedroom three is a beautifully presented double bedroom with original fireplace and double glazed window to the rear elevation overlooking the garden. 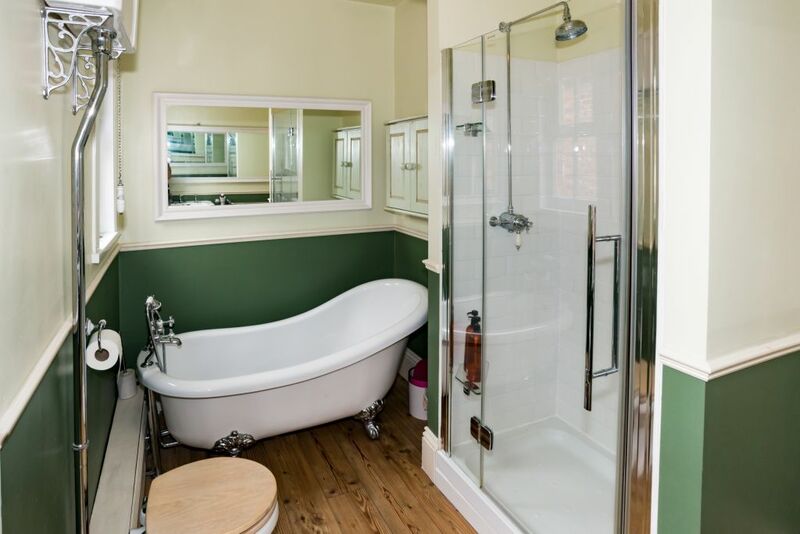 A stunning bathroom finished with a high quality bathroom suite comprising a ceramic wash hand basin, high level WC, slipper bath and large shower cubicle with overhead thermostatic shower. Also two double glazed windows to the side elevation. On the second landing a skylight allows natural light and useful built-in storage space within the eaves. On this floor are two further bedrooms - a double bedroom with Velux roof window and original feature fireplace and a further double bedroom with original fireplace and dormer style window with double glazed sliding sash units. To the front there is gated access to a footpath with steps leading to the front door and a low maintenance front forecourt garden. To the rear a beautiful enclosed patio area with timber steps leading to the walled garden area and access into the workshop. Useful covered bin store area with brick outbuildings. A fantastic, versatile space currently used as a workshop, previously used as a garage, with power, lighting and full width built-in storage units. Personnel door to the side elevation and window to the front. (Please note this workshop could be reinstated into a garage, subject to building works).